My dissertation is about how music influences choreographic decisions and I am making a 12 minute performance based on this. I was wondering if you knew any examples of choreographers who have also done this. I have looked at Mark Morris but, are there any others who have been strongly influenced by music or have used music to change a piece of choreography? Comments for Choreography and musical influences. It is curious, but contemporary dance history does barely mention this important factor of the development of choreography. I remember that music was very important for Isadora Duncan; she used to rely on it as a source for inspiration. You could also try to find out about Meredith Monk's work, as she is a choreographer and a musician as well. I bet she might have a particular and interesting way of understanding this matter. There's also the possibility that choreographers who followed Dalcroze's teachings (Emile Jacques Dalcroze 1865 ? 1950) gave a lot of importance to the musical component of choreography, as he developed a renowned method for the teaching and experiencing of music through movement. 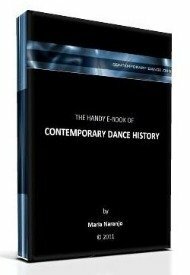 I also think that almost every choreographer reconsiders her/his dance at the moment it is put together with the correspondent music, not to talk about the fact that one of the most common choreographic compositional methods is to listen to the music and kind of translate its rhythmical structure and dynamics. Therefore, I believe that if you have choreographers working in Hampshire or somehow close, you could make some good interviews and find really original information. Contemporary dance, modern dance or ballet, have had choreographers that demand specific things from their music composers, as we know from history. I remember that Tchaikovsky had to redo the Swan Lake's score because it was not accepted by Petipa and his dancers. Serge Lifar is another example of this creative position as well. He used to say that we could not dance everything and that a specific type of music ensemble had to be invented for dance. On the other hand, you might have noticed that in concert dance forms, it is common that all new choreographic versions of already existing dance pieces (repertoires) rely on the musical structure. Have you noticed that? Everything in the pieces changes except for their music... Have a look at all the contemporary versions of the Rite of Spring, for example. Music stands as a dramatic structure that is usually maintained and respected. It is curious, don't you think? And you know that in a big part of other types of dance, like folk, social, pop or even ritual, it is common that music establishes the dynamics and/or dramatic structure and the choreographer or dancer recreates over it. This is such an interesting topic. I will be glad to read your dissertation when you've finished writing it. And I guess other visitors will love to know it too, as there's so few material written on the subject that can be found. Let us know how you get on. I hope this helps. choreography may not necessarily have to be learn t, it develops within oneself form what is possessed and lived from childhood, from the surroundings.